Today I am so pleased with myself and I am dying to share this project with you. 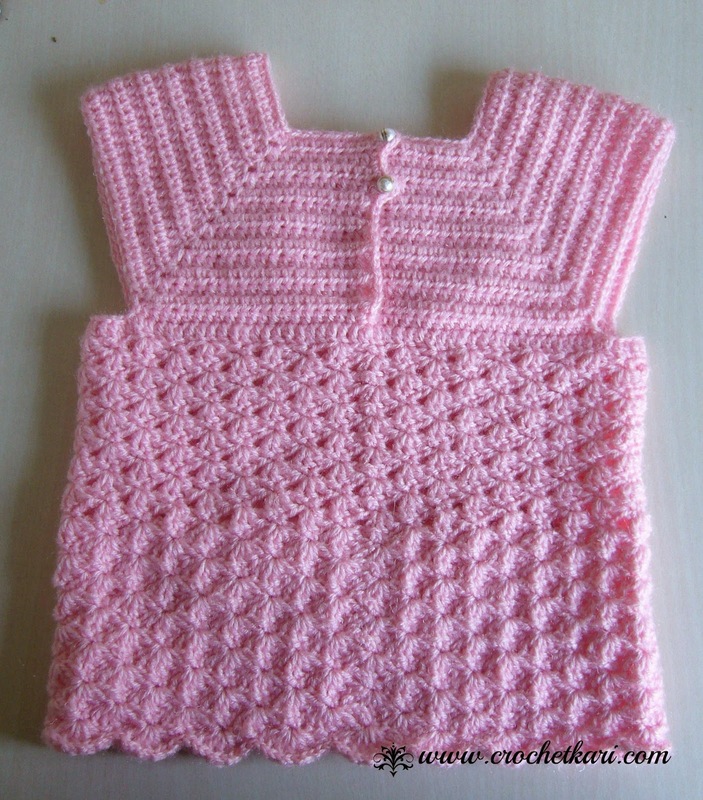 Which is the lovely, very cute Crochet Iris Toddler Top that I have successfully managed to complete. And I am thrilled with the result. Isn't it super duper cute!! I have no idea yet as to how it will look on a toddler as there is no "toddler model" anywhere close to me. But doesn't matter, I am still very very happy with it. Are you thinking that I seem to be dizzy with excitement? Well, I have a right to be as this is my first successfully completed wearable item with shaping and measurements. Do you remember THIS dress! Well, eventually it became a baby blanket...phew!! Doesn't that skirt look ridiculously huge!! Poor baby would have toppled over with the sheer weight of the dress...LOL. 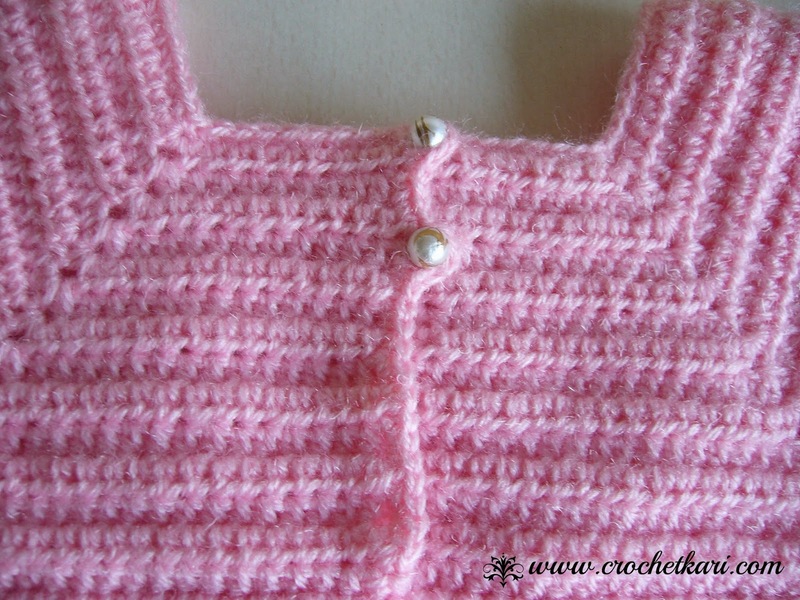 So now on to my masterpiece (hehe)... You can find the pattern for this cute Iris Toddler Top at My Hobby is Crochet.com. (I like the name of the site) :) The designer Kinga has also released a new version of the pattern for 3 - 5 years, so take your pick. 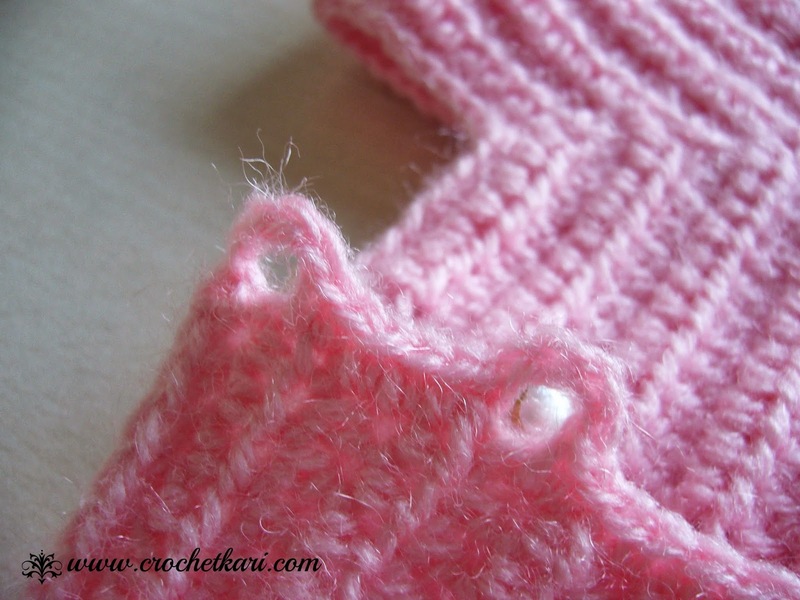 The yoke has two tiny buttonholes and I used two pearls as buttons. I am mighty pleased with it!! I think it looks very very cute. What do you say? Now if only I could find a toddler to model it. Or maybe I could just wait for my grandchild...which means only a short wait of 5 - 6 years! Oh no!!!!!!! So, what are you working on right now, do tell me. 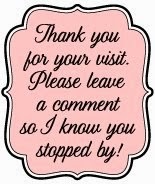 I am working on this stitch pattern which seems to be the current rage on the internet, wherever you turn....Facebook, Pinterest, crochet forums, ....this keeps popping up. 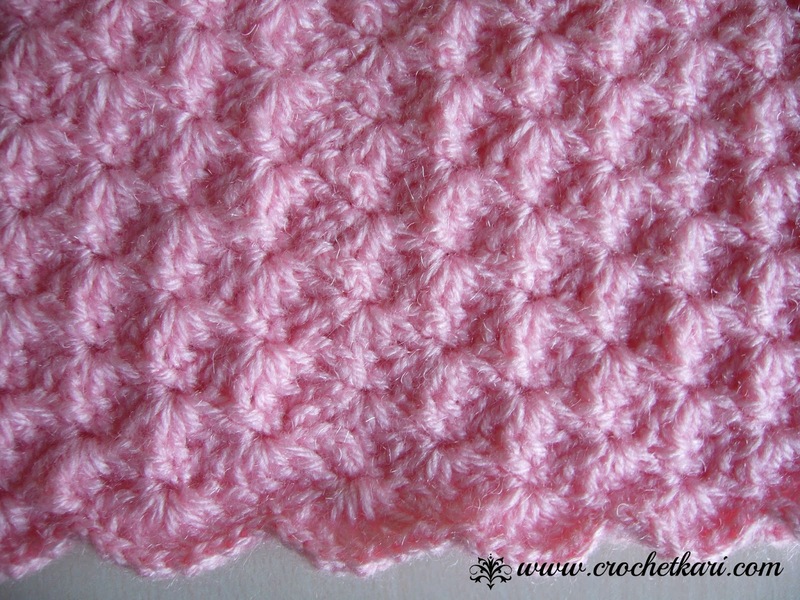 It does not really require a pattern and I am hoping to have something nice to show you soon. Sangs !!! 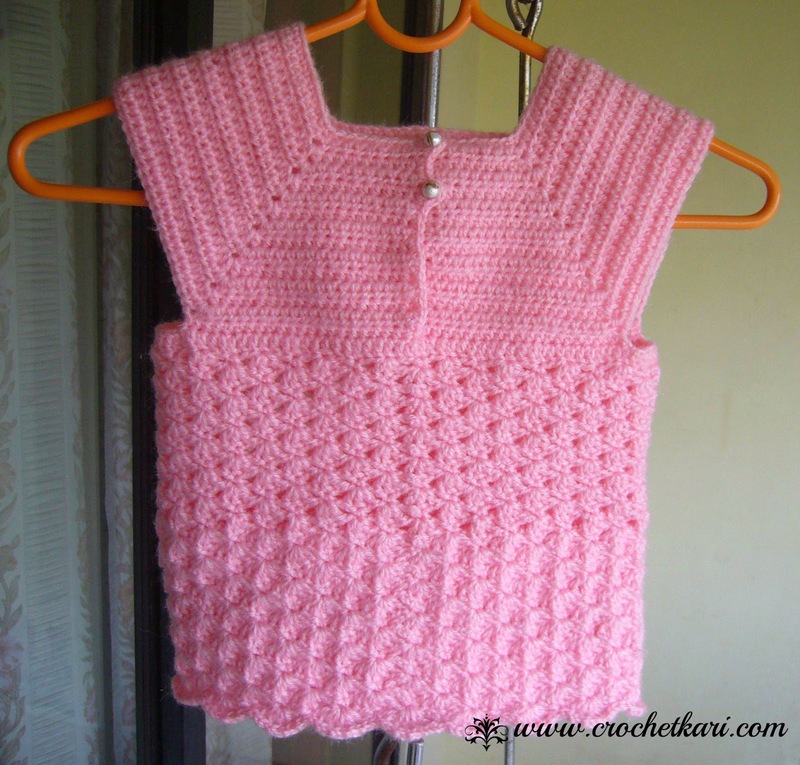 I am simply in love with this toddler dress..It is soooooo adorable !!! What a lovely colour u have chosen ! I feel like making one..but i have a nephew and not a neice ! Heheh ! Congrats on completing your first wearable items. It's very pretty and so neatly done. 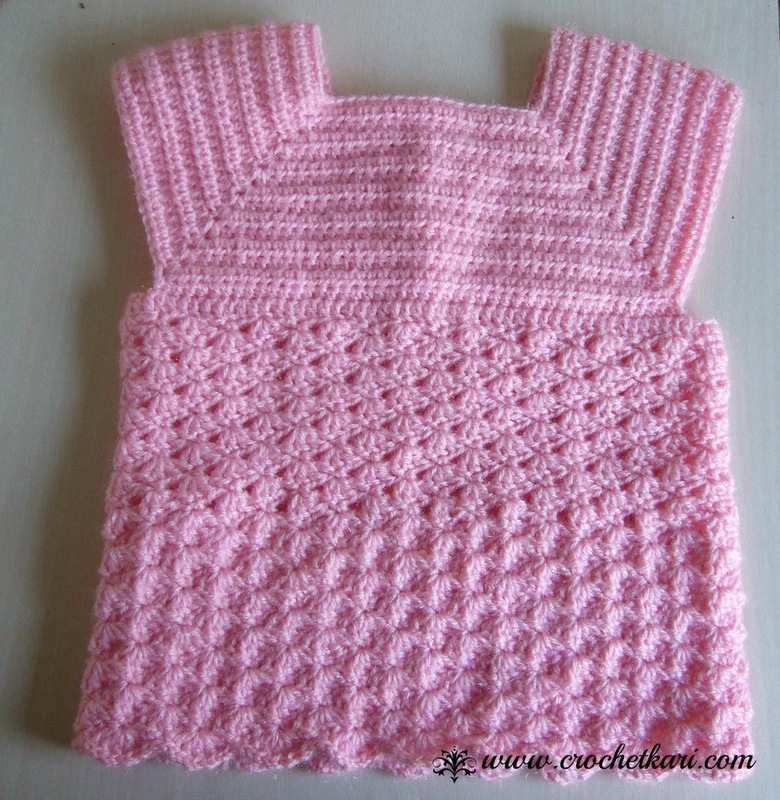 Right, Sangeetha, this top turned out great! Such a lovely color and I silver buttons match it so well! 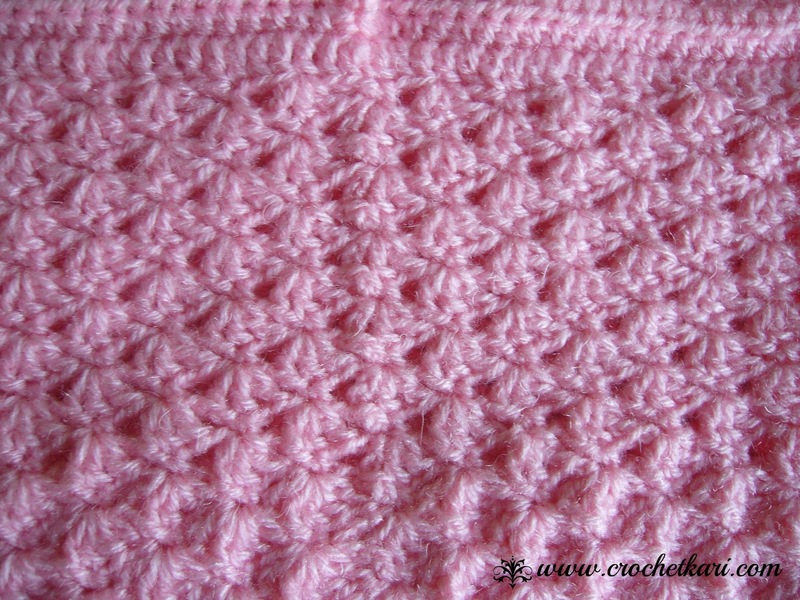 The new pattern seems interesting, could be great for a net cardigan or a scarf. The new stitch looks interesting !! Especially , with the color combination that you are using its looking bright.